The Indian television market has seen a number of new entrants in the last few months. Chinese technology firm Xiaomi launched its Mi TV 4C Pro and Mi TV 4 Pro models last month and prior to that, we saw the launch of new televisions from Blaupunkt. And now, the European consumer electronics and appliances company Truvison has announced that it is expanding its television line-up in the country. The company has today introduced TW2462 24-inch Gaming TV in India. Called as an affordable LED television by Truvison, TW2462 24-inch Gaming TV is claimed to come with a high performance engine and is supposed to give a faster response for streamlined user experience. According to Truvison, TW2462 24-inch Gaming TV has been designed to add versatility to consumers’ gaming experience. The television sports a glossy finish and features a 24-inch Full HD 1080p IPS LED panel which is said to offer an enhanced contrast and better colour reproduction. It is the first television to be sold in the country to come with built-in NES games. The firm said in a statement that TW2462 24-inch Gaming TV has improved the response time and contrast ratio for better gaming experience. It comes with A+ grade panel and a resolution of 1080p clubbed with a wide colour enhancer. The corporation claims that these three together ensure that the integrity of the picture is always deep and detailed, perfect and pure. It is also said to create perfect blacks with an infinite contrast ratio along with instantaneous response time and fast moving scenes. This gaming television has two USB ports and one HDMI input and includes a 20W speaker that has support for Dolby Digital Sound. 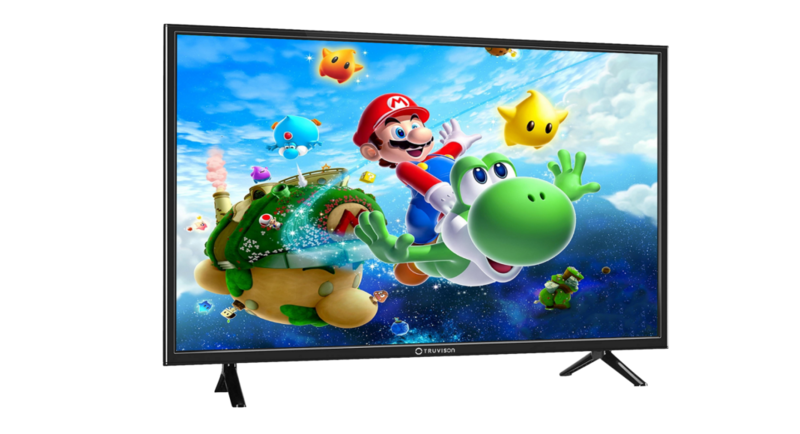 The company has also claimed that the gaming TV has one among the lowest power consumption in the market because of its customized back-light mode. If you wish to buy the Truvison TW2462 24-inch Gaming TV, you can buy it for price of Rs 10,990. The TV set is already available at leading retail stores.